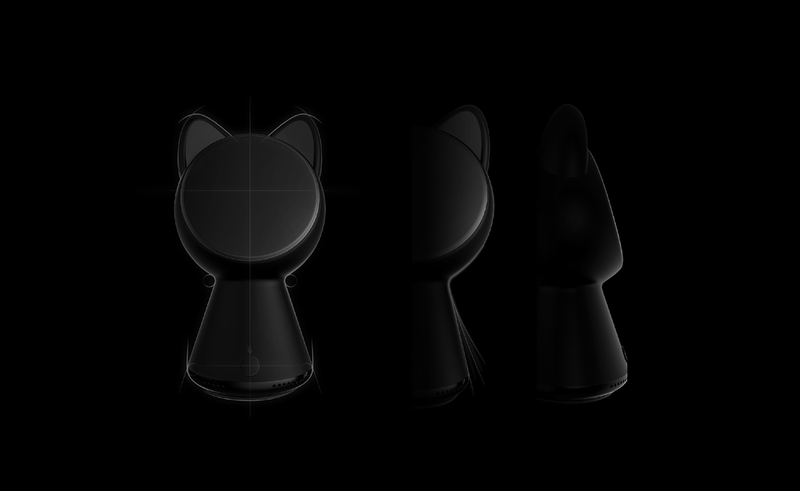 We used a matte black texture like a black cat that looks at the user from a distance but sometimes comes close and sympathetic. Also, it can be a natural harmony with space by using natural curve of the product. 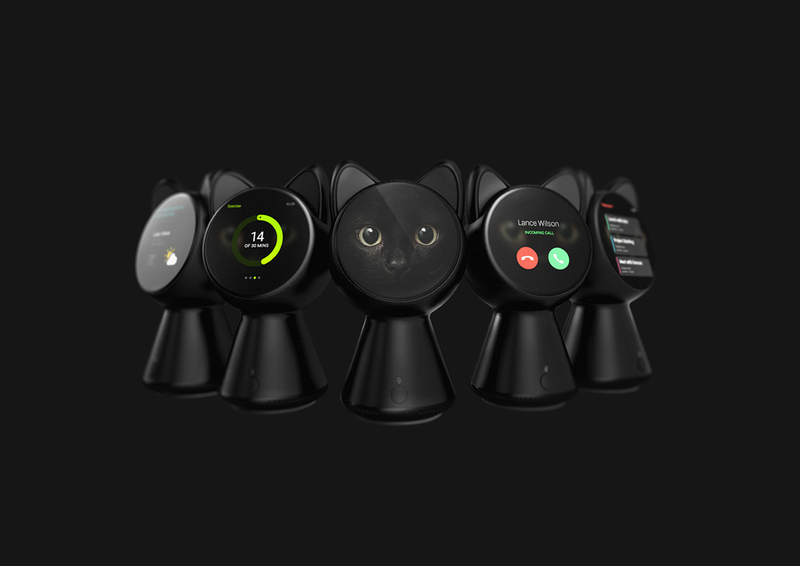 By connecting with other smart devices, Black cat controls them with user’ information received from the other devices. People can answer the phone, check their schedule, and turn on and off the light and home appliances. This AI-based controller enables people to interact with home appliances as communicating with real pets. 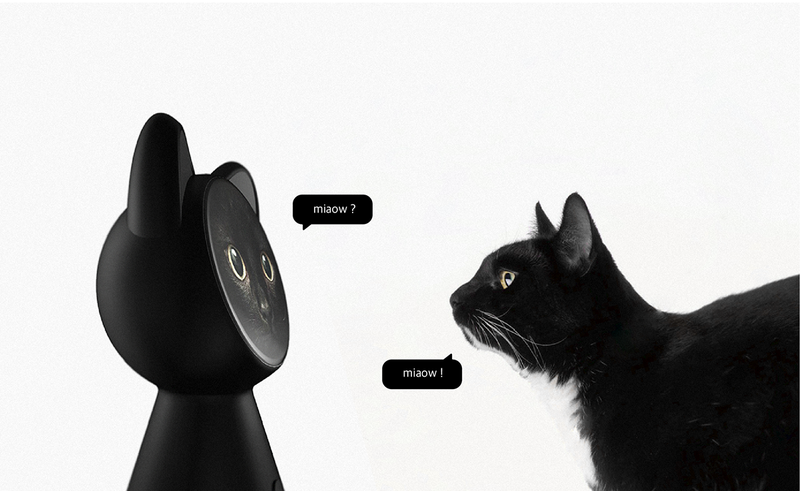 So, we added an image of a black cat, like Apple's chic image, to a smart device and added friendliness. 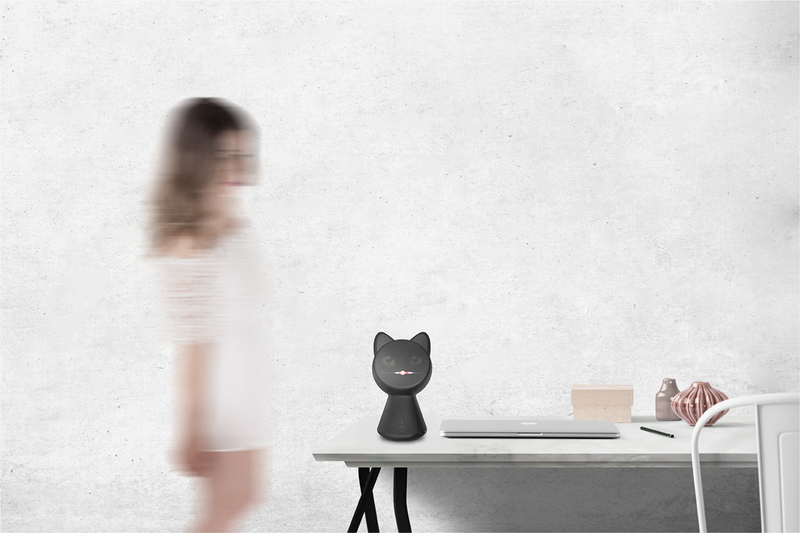 We designed a friendly-looking IoT product that resembled a cat. 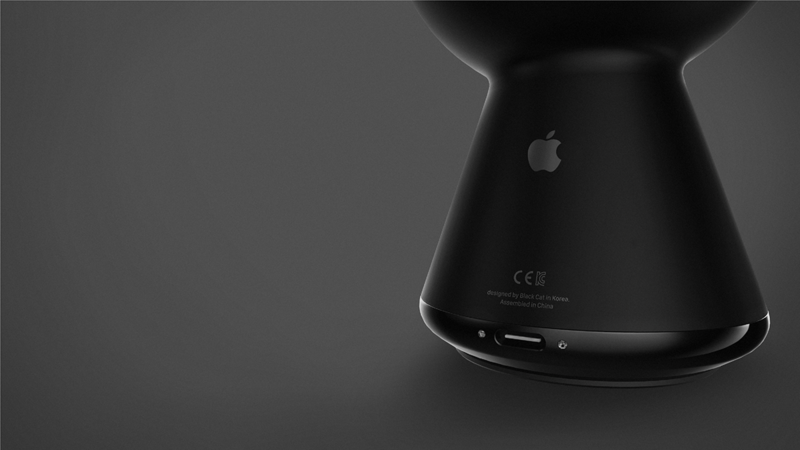 As an example of IoT, we designed the concept using Siri A.I. system. Loneliness is developing into social problems with the increase of single-person households around the world. Communicating with pets is a good way to prevent disease caused by solitude. However, it can be hard to even think about raising a pet in the busy realities. 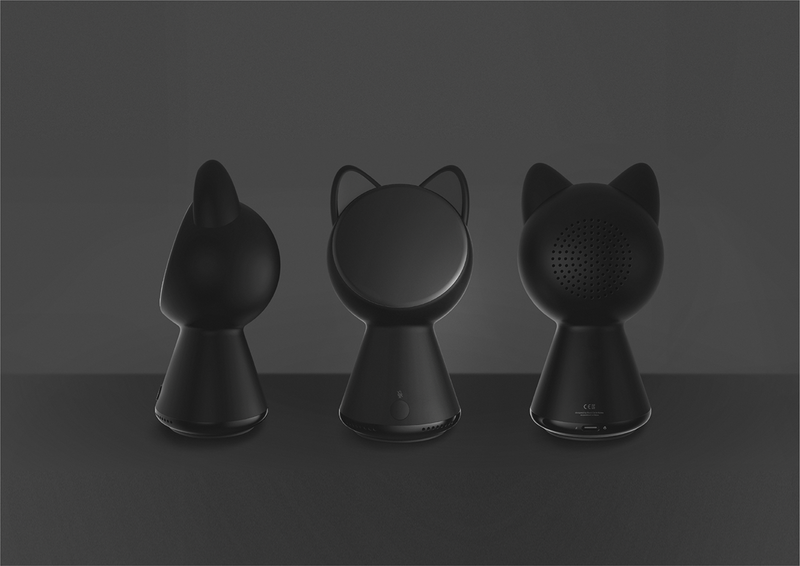 'Black Cat - IoT Home Controller' is a cat-shaped 'Black Cat' that communicates with the user and alleviates loneliness. And with IoT Smart technology, you can easily control your home appliance. In addition, the existing Smart Hub concept products are being released, but so far it has been a futuristic or unfriendly design. 'Black Cat' is a minimalist design that is also suitable for interior elements of the house. 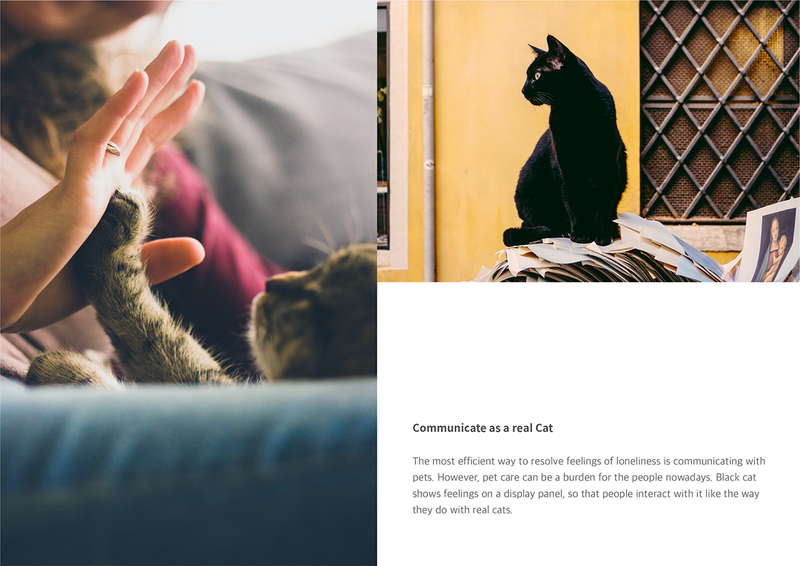 It was inspired by cats and can be an item of comfort and healing for the user who lives alone. Project Black Cat. A Smart Home Controller that comforts me like a cat. With the increasing number of singles around the world, solitude and loneliness are developing into social problems. 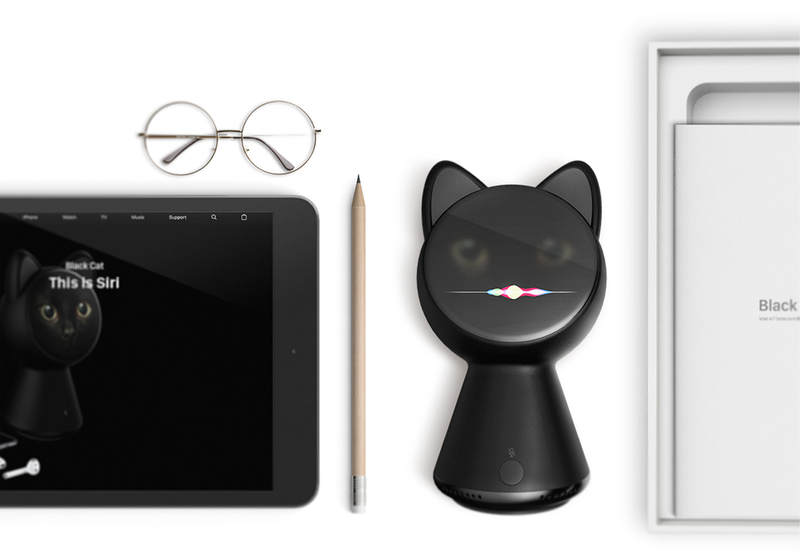 It is a concept project that suggests 'Apple IoT Service - Apple Cat' which can solve this social problem in 'Apple' which is leading smart product. Though a lot of existing Smart Hub concepts are coming out, until now they have been designed with a futuristic or rigid design. 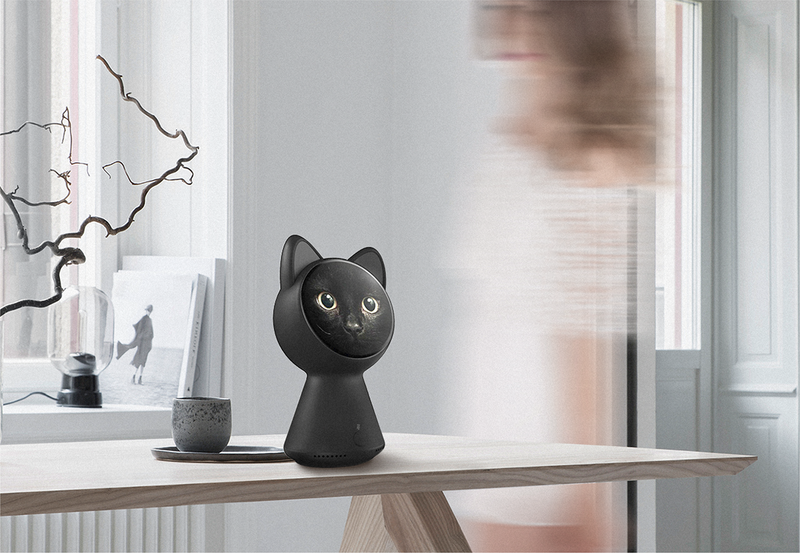 The 'Apple Cat - Black Cat' combines elements of a familiar pet with Apple's minimalist sensibility and can be an item of comfort and healing. - Communicate with pets. One of the ways to solve the problem of loneliness is to communicate with pets. However, for busy modern people, it is a burden to raise pets in the house. 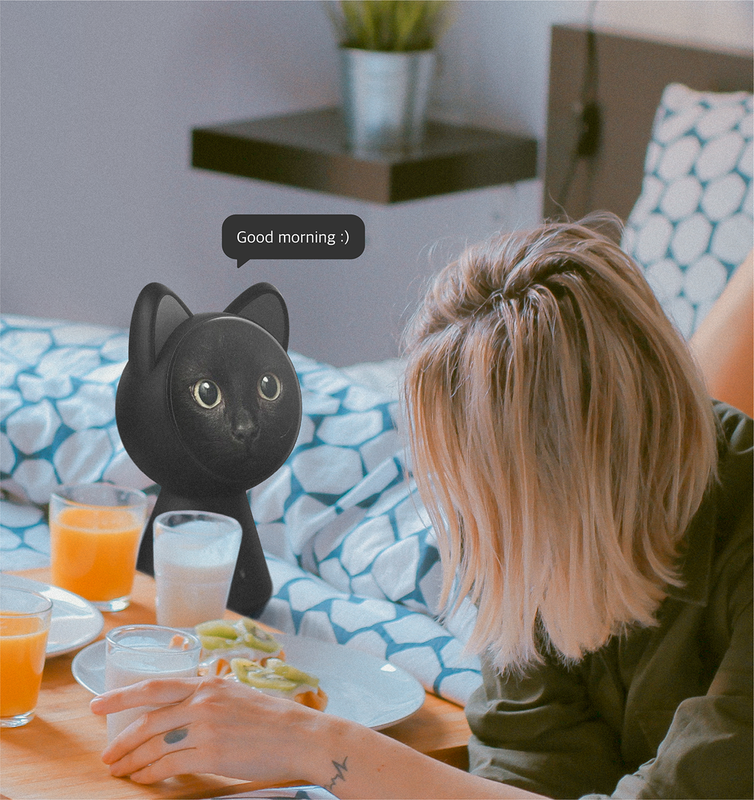 Black Cat communicates with the user through the eyes like a cat, from the user's schedule management to the 'Home Control'. 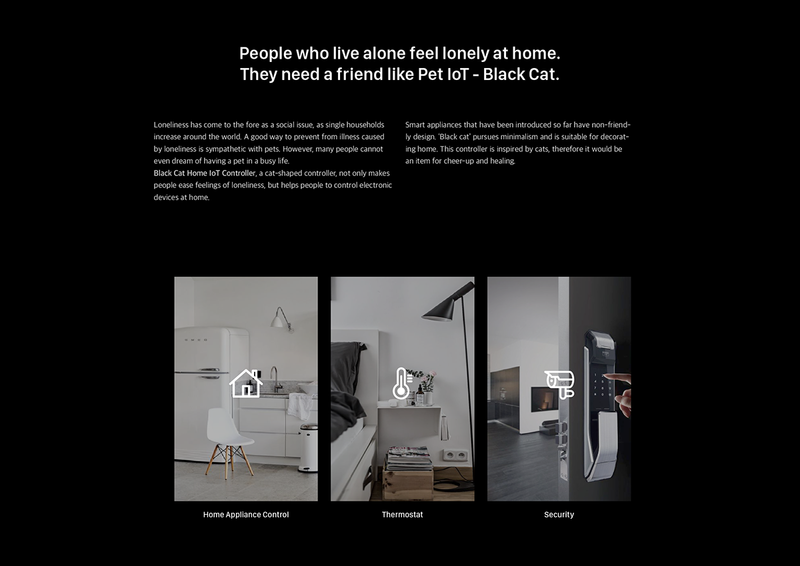 - Black Cat Feature - Smart Home Controlling It is possible to receive and control user's information through communication with smart products. You can receive calls, check schedules, and control your home lighting and other electronic devices. 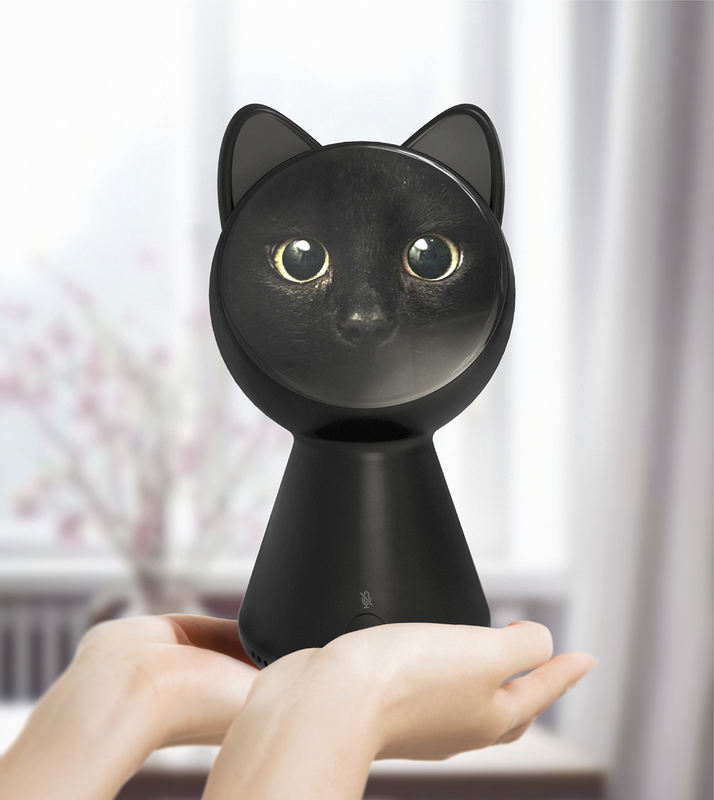 Play with Black Cat Through a variety of applications and built-in speakers on a circular display, the Black Cat acts like a cat and becomes a friend in a house where the user is alone. 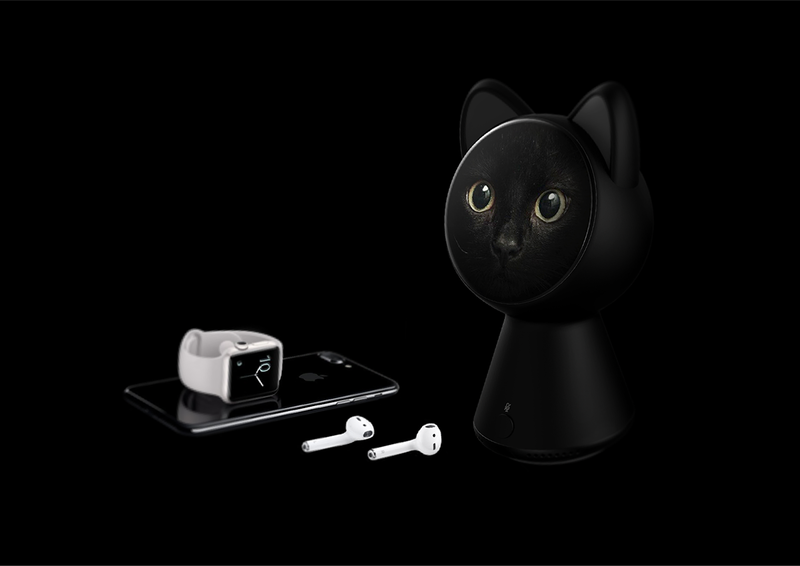 Home Security System With the built-in camera on the Black Cat, you can check inside the house with your smartphone application.